CW2 Scott W. Dyer, 38, an assistant detachment commander, assigned to 3rd Battalion, 3rd Special Forces Group here, died Oct. 11, in southern Afghanistan from injuries sustained in support of combat operations as part of Operation Enduring Freedom. In 2003, Dyer volunteered to attend Warrant Officer's Candidate School and graduated in June of that year. He was reassigned to the 3rd SFG in February 2004 as an assistant detachment commander. 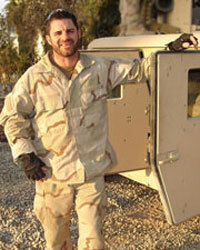 Scott was on his third tour of Afghanistan when he was killed. An Army Ranger, a member of the Special Forces and one of the elite who did high-altitude sky-diving, Dyer was a 19-year military veteran. "He has a wonderful legacy," said Miller.